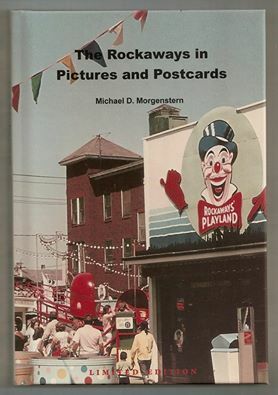 Michael D. Morgenstern lived and worked in the area during four decades. He attended primary schools in Far Rockaway, Edgemere, and Arverne and is a graduate of Far Rockaway High School. After completing several years of employment with the Ford Motor Company in Manhattan he accepted assignment to Far Rockaway High School after rescinding prior appointments to both New Utrecht and Erasmus Hall. Having taken and passed New York City Board-of-Education licensing exams and receiving his credentials at the age of nineteen he faced his first classes as a fully certified teacher even before reaching the age of twenty-one. During his tenure at the high school he served in various capacities including: Director of Vocational Guidance, Cooperative Education Coordinator, Admissions Staff leader, Instructor of Special Education, School Treasurer, Supervisor of Business Subjects, and Assistant Principal. For many years he also taught adult-evening education courses at John Adams High School in Ozone Park, NY.